Shakib Al Hasan is a cricket player from Bangladesh. He is a left-handed batsman and bowls as a slow left-arm orthodox bowler. 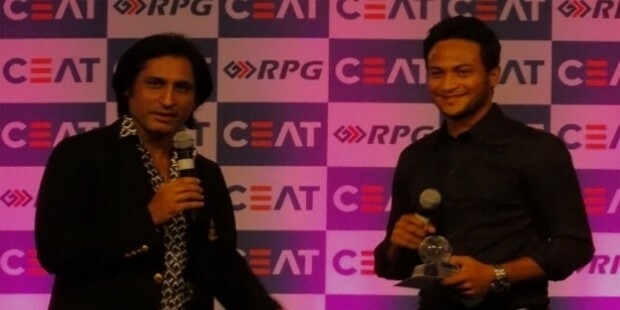 He is one of the best cricket player that Bangladesh has ever produced, and is considered amongst the best all-rounders in the game currently. Born on 24 March 1987 in Khulna, Bangladesh, Shakib developed the passion for the game at a very tender age. To pursue his passion he joined Bangladesh's top sports academy, known by the name Bangladesh Krira Shikkha Protishtan(BKSP) and in 2004 he begin playing for the country's domestic league at the age of seventeen. Before receiving a call for the national squad in 2006, he spent a two years time with BKSP while he was still playing at the under 19 level for Bangladesh in meantime. Shakib's career hasn't been of much struggle. Owing to his utter self belief, tremendous temperament, and of course worthy performances at domestic and under 19 level, Shakib was able to earn his debut call at the age of 19. It was in this under 19 level tri series which involved the other two under 19 teams from England and Sri Lanka, that he performed exceedingly well, where he scored a 86-ball hundred in the final match to take his team to the series victory. It was this knock of Shakib and obviously all his other excellent performances throughout the season, which earned him a call for the national squad. Shakib made his cricket debut in an ODI match against Zimbabwe in 2006, where he fared decently by picking up a wicket and contributing 30 runs in a run chase, a match which his team won comfortably. A year later he was given his first test match cap against India, where he did nothing noticeable, but with the passage of time he showed what he was capable of with his performances. And it was due to his regular performances and being one of the best player for the team, that Shakib was rewarded with a captaincy in 2009. Under his captaincy, the team won 22 out of 47 games; although he was sacked two years later. Shakib still is a brilliant asset to his team, with some regular and noticeable performances across all the three formats of the game. In January 2015, Shakib Al Hasan became the first player in cricket history to hold the top spot in all-rounder category, across all the three formats of the game. He has also been picked up for the World XI and Asia XI squads. Apart from being a student at Bangladesh Institute of Sports Education, Shakib holds a degree in BA English to his name. 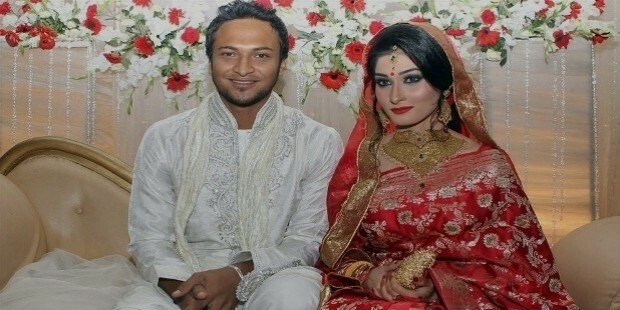 In 2012, Shakib married Umme Ahmed Shishir, after having met and known her in 2011while he was playing for the county team Worcestershire. Towards the end of 2015, the couple was blessed with a daughter. Apart from cricket, Shakib is a big football fan and a supporter of Spanish giants FC Barcelona.